A damaged utility line can result in environmental harm, service disruption, and even serious injury or death. One free and easy call to 811 at least three (3) working days prior to digging starts the process of having your underground utility lines marked. 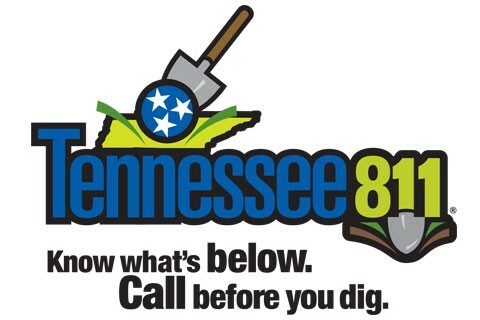 Your call to 811 will be answered by a Locate Request Agent who will ask you for the location and description of your digging job. Would you rather enter your locate request online? We’ve got you covered! Our E-Ticket system is quick and easy to use. Whether you call or click, the locate request will be transmitted to member utilities who will send a professional locator to the proposed dig site to mark the approximate location of your lines within 72 hours (excluding weekends and holidays). Download the “TN811” mobile app to see which utilities were notified and how they have responded to your locate request. When you begin your excavation work, remember to respect the marks and dig with care! Some examples of when to call: putting in a fence, installing a drain tile, replacing a mailbox, planting trees or shrubbery, or other landscaping work.